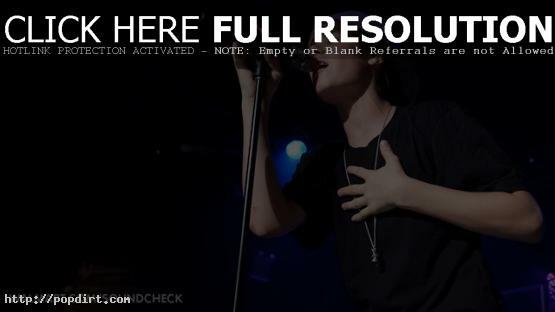 Justin Bieber recently performed for Walmart Soundcheck, and a sneak peek available below. The full performance and interview launches on May 15th at soundcheck.walmart.com/justin-bieber. The Canadian pop singer performs tracks from his latest album ‘My World 2.0’, including the hits ‘Baby’ and ‘Never Let You Go’. Plus, Soundcheck talked with Justin about his passionate fans, the new record, and working with Ludacris. Check out photos from the Soundcheck performance below the cut. he’s so HOT!!!! I love his dress sense!!! and he has the best hair and a KILLER smile!!! I WANT HIM!!!!!! JUSTIN BIEBER IS SO HOT I LOVE THEY WAY HE CARES ABOUT US(FANS).HE IS SO SWEET. I’m Erdita Justin you I like so much and your songs is very good I listen every day your songs I’m 14 . I speak very good English I’m from Kosovo I love you so much. I’m Erdita and my friends Dona Ardita and Jetmir I like you so much I have everything with you photo album everything. I dance very good and someday I dance with you . I love you. in Kosovo you I like so much. me to like so much your songs is very good. I get to so Justin tomorrow (: and I can’t wait I have been telling my friends for 2 months that I’m going and how many days till I go (:<33 Justin Bieber is amazing! I love him so much (:<33 and hes so hot! You Are So Cool Bieber , Are U Rich? maybe I Say YES! You Are The Coolest And None Ordinary….Like Girls Likes You So Much That You was Posted Video (Like you). So Keep It Up Bieber!